"I'll drink to that!" 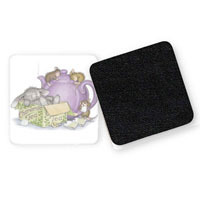 Your Favorite House-Mouse Designs® images are now printed in full color on 4" x 4" soft surface, rubber backed coasters. Click on any of the links below to see the coasters.